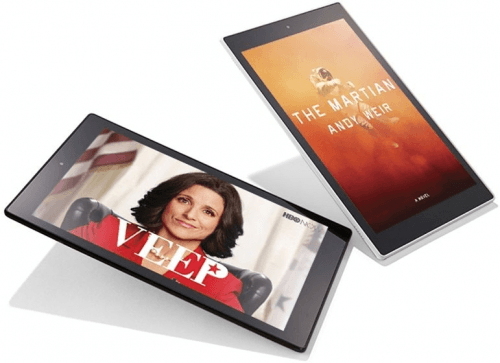 This model (AKA Amazon HD10) equips a 10-inch 1280 x 800 IPS screen with a low pixel density of only 149ppi, that kind of fails to justify its HD moniker, and it arms itself with dual stereo speakers (which we understand means four...) featuring Dolby's Atmos audio technology, which claims to produce a three-dimensional audio effect for compatible movies. Finally, it handles tasks and applications with a seemingly average 1.5GHz quad-core Mediatek CPU with 1GB of RAM. 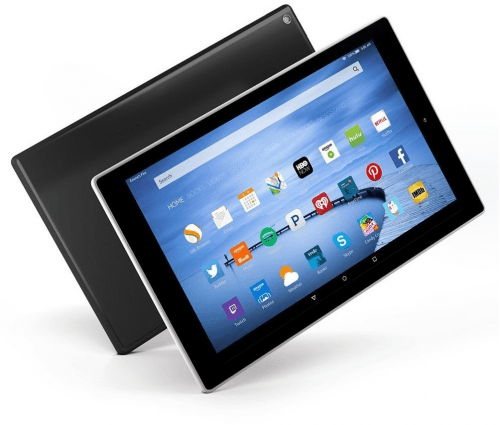 Also called Amazon Fire HD10, Amazon HD 10, Amazon HD10. 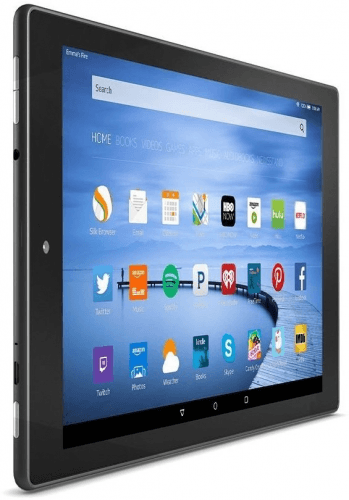 Amazon tablet computers 2019 View all the most recent and upcoming Amazon tablet computers.